An intense 12 week program ONLY for those serious about improving their skin. Our skin therapists customise this program to suit individual skin requirements. Over the 12 weeks your program will include a variety of treatment modalities and cosmeceutical skincare in a customised treatment program designed specifically to combat your skin concerns. A 12 week individually customised skin treatment program, designed to combat YOUR individual skin concerns. Speak to your skin therapist about the program. Simply discuss your skin concerns, what you are want to achieve and they will advise you if this program will get you the results you are after. You will prepay $470, we will then direct debit $130 from your MasterCard or Visa Card once a week for 11 weeks. Totalling $1900. The minimum amount you will save is $575, however you may even save more! An appropriate homecare program for you to follow including dermaviduals skincare for immediate homecare use, and if required Jane Iredale makeup. Treatments from our Skin Clinic Treatment Menu at 20% off (amount taken directly from your prepayments). The homecare and treatment plan we recommend will be individually designed to combat your skin concerns. Our Promise to you is that your treatment plan will be designed to give you’re the best RESULTS achievable for your investment and over the timeframe of the program. 20% off skin care and makeup only available on the dermaviduals and Jane Iredale ranges, are for your personal use, are not transferable to others and only available for purchases from your prepaid funds available. 20% off discounts only apply to full priced Skin Clinic Treatment Menu treatments. 20% off treatments do NOT include any already discounted treatments, treatment packages or treatment series as they are already discounted. A strict 24 business hours cancellation policy applies. If we don’t get at least 24 hours notice of a reschedule or cancellation $30 will be deducted from your prepaid funds. With the heavy discounts you receive on this program, we simply cannot afford late cancellations. 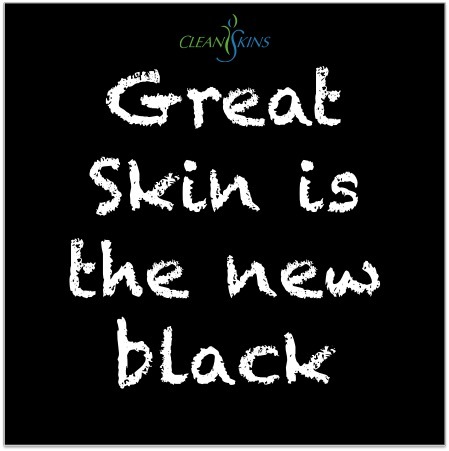 If for any reason you wish to cancel the program prior to completion, ALL prior treatments and products sales made at the 20% off will convert back to FULL priced treatments and any remaining outstanding funds will be credited to your CleanSkins account to use as you wish. It is your responsibility to ensure sufficient funds are in your account for the weekly payments. If any payments are dishonoured (i.e. insufficient funds) we will pass on the bank fee to you, by crediting any dishonour fees we receive from your prepaid funds. Your therapist advised that you didn’t need to spend the entire amount to achieve your desired results i.e. you didn’t need more product or treatments. You didn’t stick to the treatment plan timeframes for any reason. The program is designed to achieve maximum results in the timeframe and if you do not stick to the timeframes you will not achieve optimum results!